As an organisation grows, individuals who have started it have to take on additional responsibilities. As a result, the number of things on your to-do list grows significantly. You often have multiple urgent things that you need to do NOW. You are always picking one over the other saying you will come back to the other. Your list of things left undone grows. The number of emails you need to attend to also keeps growing tremendously. You are away from your computer for a few hours and by the time you get back to your computer, you find 50-60 emails that have hit your inbox and need to be responded to. This adds stuff to my to-do list and I was looking for a way to optimise how I manage my to-do list which was getting just too long and unmanageable. I use Wunderlist for managing my to-dos (and might I add, evangelised many of my colleagues at work to use this great tool as well - it syncs your to-dos among your phones and computers, has multiple lists and easy prioritising). Then, one day, on Quora, I got this article in my email alert: As a startup CEO, what is your favorite productivity hack? Now, now, Vikram, I can see you raising your eyebrows! I am not CEO of a startup, but I am a co-founder of a startup. So, I thought might as well read it as I was looking for ways I could be more productive. Here is what I have started doing after reading the article. The article recommends other tools but conceptually what I am doing with Wunderlist is the same. It is not rocket science and after reading this, you might say: Much ado about nothing! But then, most great ideas seem simple. The fact is I was not doing it until I read this and after beginning to do this, it has helped a lot! So, I have an "Inbox" list on Wunderlist. Here is where all new to-dos go to. Every week, on Monday morning, I go through this list and move to-dos to my "This week" list. These are things I would really like to get done this week. Then, every morning, I go through my "This week" list and move to-dos to my "Today" list. Then I take up things from my "Today" list and then actually do them. At the end of the day, it feels really nice to see that most of your to-dos are done. I have tried this for a couple of weeks. It has worked really well. Yes, it might be early days yet but I am going to persist and continue this. Many things that were pending for a long time have got done. Earlier, all I was doing was responding to email. This meant OTHERS were dictating what I did in my day. With this method, I am dictating what I do with my day! This is really important! 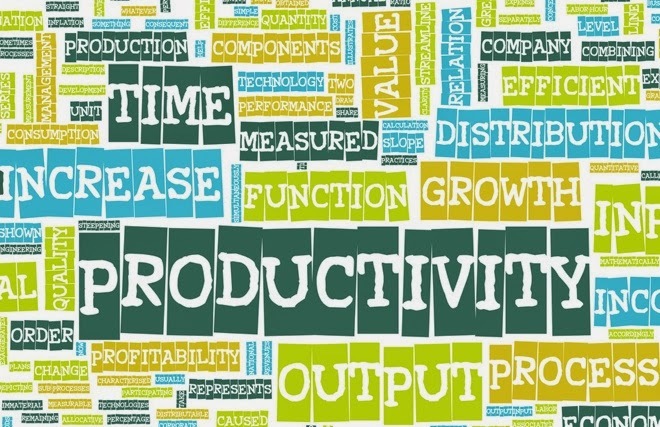 There are many productivity hacks that people use. It is important that you pick something to make sure you get things done which are important to you. Many of us end up doing things that are unimportant to us and just react to emails and things others want us to do. That is not what we are meant to do! Kamal, what you described is part of GTD (Getting Things Done - David Allen). There is an app called Things for the mac and iDevices that is very well integrated into the GTD workflow. I have been using it for over 4 years now and still love it. Great! I came across this for the first time only in the linked article and have managed to use it using Wunderlist. Thanks!